Full disclosure, the auther of this post has not used ArtRage, but others in the office have and have given their praise… just before they went offline for the weekend. We thought it important to mention it right away though as the artistic app is on sale till July 28th. Down from $6.99, it is only 99 cents!! The ArtRage app has a pretty nice list of features. There is the usual Pen and Paint Brush tips, along with colors that you would expect. A couple items we normally only find on the more expensive options are included: Blending of colors and layers. Each of those are at the opposite end of creative editing which opens up a whole world of options. Internally, it has been reported like the some reviews on iTunes that the ink appearing on the screen lags just a bit behind your finger when drawing. We are not seeing it for everyone in all cases so will continue to gather data to see if it is a short term ArtRage bug or a iPad memory issue. – High quality rendered strokes respect the volume of paint on the canvas, letting you play with texture as well as color. – Oil Brush with thickness and smearing. – Watercolor tracks tool and paper wetness as you paint. – Palette Knife for spreading and blending pigment. – Paint Roller & Paint Tube. – Inking Pen with auto-smoothing and pressure simulation. – Supports all screen orientations. – Easy access pods in the corners provide important functionality without getting in the way. – Elements vanish as you paint so you can paint underneath without having to stop. 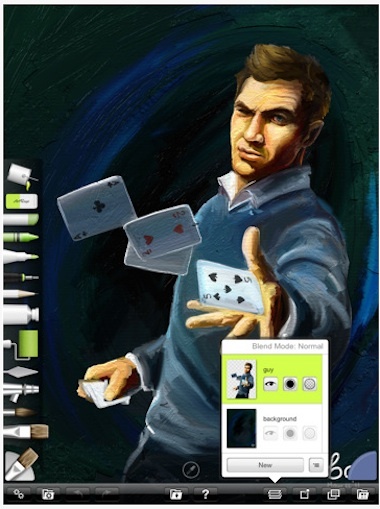 – Multi-Touch provides instant shortcuts for canvas manipulation, Undo/Redo, and Brush Size. – Tap and drag shortcuts for sampling or storing colors. – Tap and drag shortcut for selecting tools without bringing up panels. – Color picker modes let you customize your workflow. – Quick Reference and inbuilt Guide cover the basics of the application. 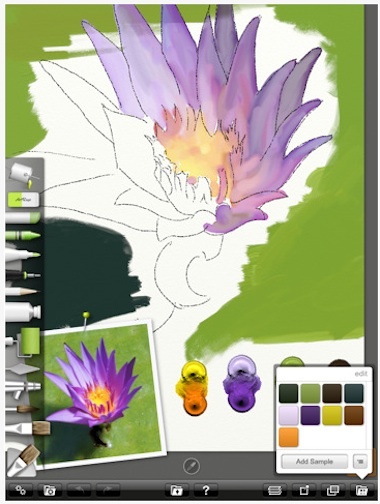 If your an artist, or a want-to-be artist and you have an iPad – Grab ArtRage while on sale!